Talking about a solitary ubiquitous feature of a product can be a rather dull proposition for a creative team that's why I always enjoy seeing examples that showcase a rather mundane feature and do it in a way that captures the audience's attention. Take for instance this TV spot in Ford Australia that has some fun with perceived poor performance of 4 cylinder engine cars. 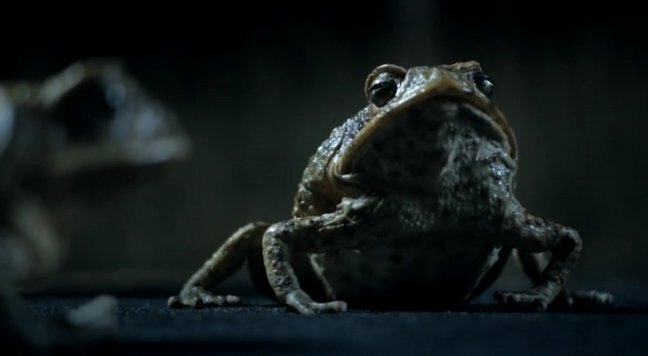 While talking frogs isn't anything fresh or new here in the States, everyone remembers the Budweiser frogs in the 90s, it is a creative take on a cultural reference about Cane Toads who are disliked by most Australians for their negative impacts on biodiversity and some of their "secretions." I'll leave it to the ad to fill you in on the latter. Perhaps a further marketing extension is to do some branded Cane Toad purses...or not. How Did Honda's Pintermission Perform?